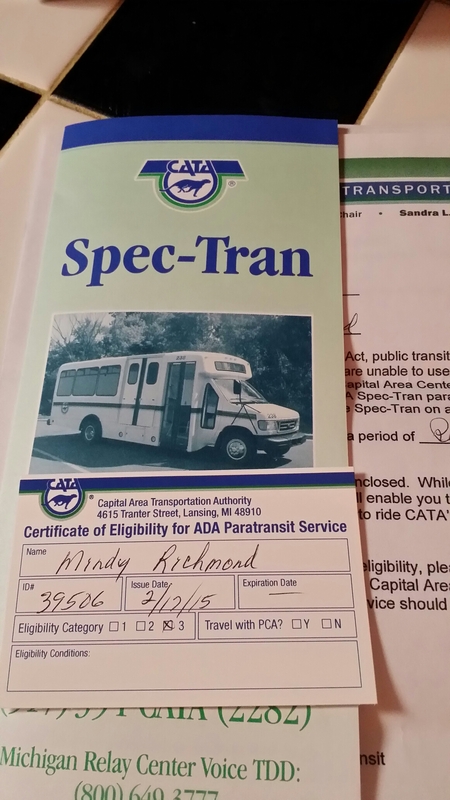 I received approval today to use the paratransit service, and I am beyond excited. The service provides people like myself with rides to pretty much anywhere in the city. All I have to do is schedule the pickup within 24 hours, pay the fare, and off I go! I can apparently schedule online, which I tried already for two of my upcoming appointments, and I’ll probably call tomorrow to confirm that I did it right. No more pulling my husband out of work for doctor’s appointments, dragging him and the kids out at dinner time for my support group meetings, and who knows what else? I can go on shopping trips, get groceries on my own (up to 8 plastic bags), even take the kids to the library or the museum on days off! Just dreaming of the possibilities is more excitement than I have had in a long time. Be thankful for the independence you have, because it can be taken in a heartbeat. My optic nerves were damaged as they are in a matter of weeks. I used to enjoy taking trips, sometimes just driving for the fun of it. The second to last time I remember driving (and enjoying it) was when I went to the abbey for a weekend getaway with my sister in august 2013. Even then I should not have been driving. A week later I drove my kids to their first day of school, with one eye closed to reduce the cloud in my left eye’s field of vision, scared out of my mind and feeling reckless and over the top stupid for putting my children’s lives at risk. And that was my last time driving. So there goes my Nascar dream. Is there a competitive arena for bumper? Okay I got off track, didn’t I? Here’s the lesson: be thankful for your independence, whatever form of it you have. It is a gift. Grandpa agreed to come and watch the kids (and the puppy) after church so Mike and I could go on a date. Where do we go for fun? The shooting range! 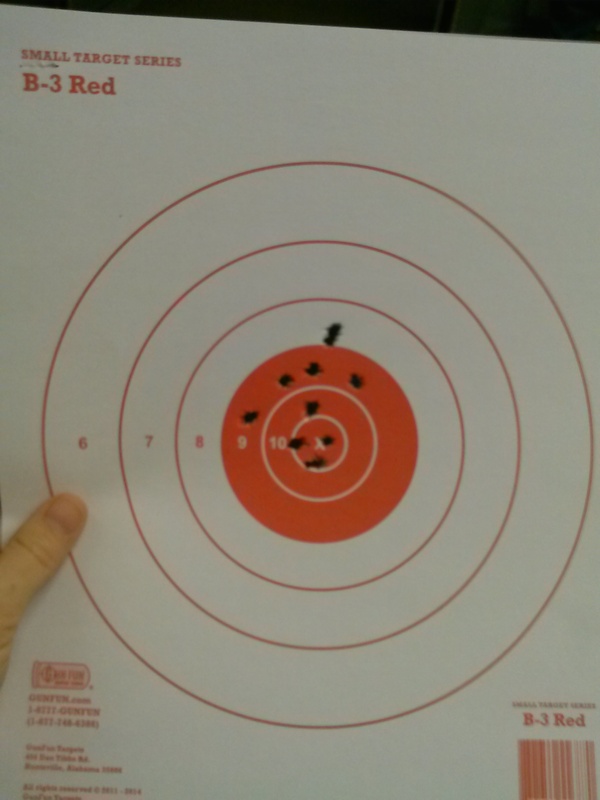 Mike shoots competitively (and does quite well for someone who doesn’t get a lot of time to practice), so when he gives me a fist bump after I’ve shot a few rounds, I feel pretty proud of myself. See for yourself in the picture below, that hole right in the middle, dead center? That was my first shot. I thought at the time I should have stopped right there, but I’m glad I didn’t.